The Oklahoma Highway Patrol reported a fatality collision occurred about 9:01 p.m. Tuesday on I35 northbound at mile marker 192, about six miles north of Perry, OK in Noble County. 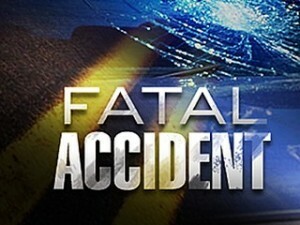 The patrol said the accident involved a 2003 Nissan Xterra driven by Jaylla Star Mims (SIC), 19, of Derby, KS. Mims was pronounced dead at scene from head injuries, by Perry EMS. She was released to Brown-Dugger funeral home in Perry, OK, to be transported to the Medical Examiner’s office in Oklahoma City, OK.
A passenger in the vehicle, a 14 year old female whose name has been withheld, of Bartesville, OK was transported by Med Flight 5 to OU Medical in stable condition, where she was admitted for trunk internal and leg injuries. The Highway Patrol’s report stated that the vehicle was northbound on Interstate 35 when it departed the roadway to the left. The driver over-corrected causing vehicle to depart the roadway to the right, overcorrected again causing the vehicle to roll an unknown number of times before coming to rest on its top. The driver was pinned for approximately 30 minutes before being extracted by use of the Hurst tool. Seatbelts were equipped and in use by all occupants of the vehicle. The condition of the driver was apparently normal and the cause of the collision is attributed to inattention to driving. Investigated by Trooper Josh Kelle #493 of the Kay/Noble Detachment of Troop K. Assisted by Trooper Vaughan #832, Perry Fire Department, Perry EMS, Oklahoma Medical Examiners Office, Brown-Dugger funeral home, and Noble County Sheriff’s office.